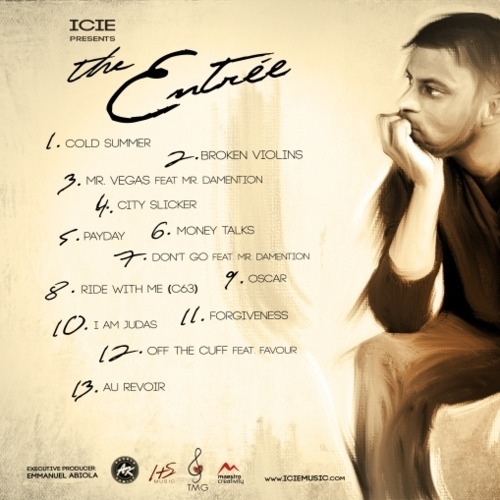 For those of you interested in the world of gospel rap, South London rapper Icie dropped a mixtape a few months ago titled ‘The Entree‘ to cater to your very needs. The wordsmith, who forms part of the collective Commission alongside Bless MC has performed at events such as the highly celebrated iLuvLive, Vocals and Verses and most recently Rate Me Plz, which has seen Icie become a familiar name within the circuit. The mixtape see’s Icie spit intricate verses and narrate life’s various challenges over classic hip hop instrumentals originally vocalled by artists such as Ghostface Killah, aswell as homegrown tracks such as ‘Don’t Go’ and ‘Forgiveness’ from number 1 selling artists Wretch 32. Download the mixtape FREE from here.